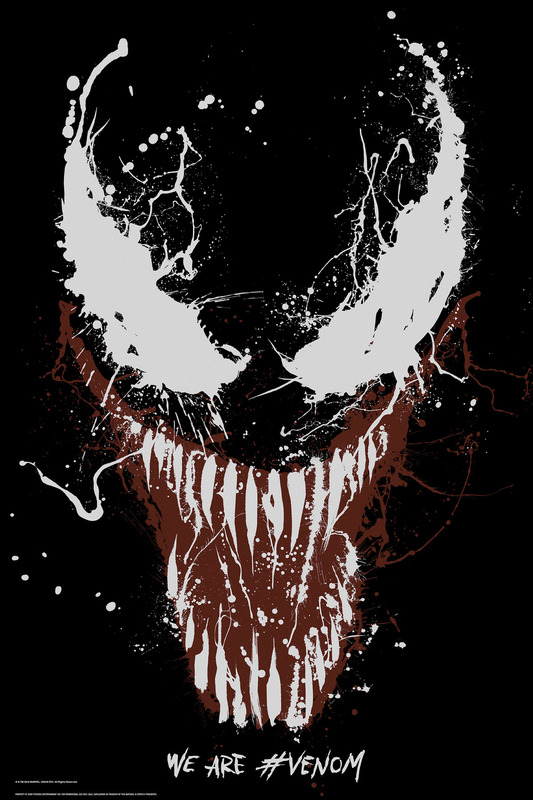 Venom, starring Tom Hardy, is set to open in theaters this weekend. 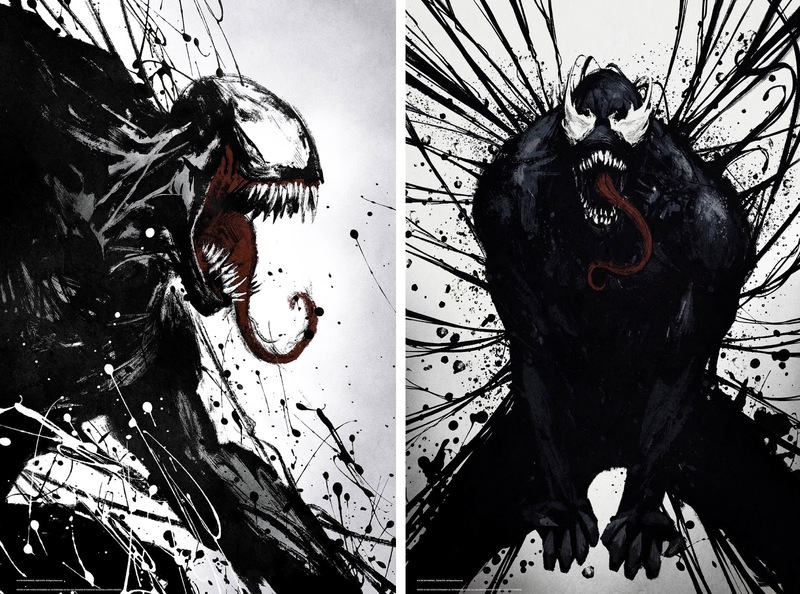 To help promote the film, Sony has released these splatter art one sheet movie posters. While they look cool, these posters don’t do much to actually entice me to see the film. 20 years ago, The Blot would have killed for a live action Venom film. But a lot of time has past, and now I’ve got super low expectations. I’m not even sure I’ll see the film in the theater. If Sony was smart, they’d turn over control of the entire Spider-Man universe to Marvel and let them incorporate it into the Marvel Cinematic Universe. 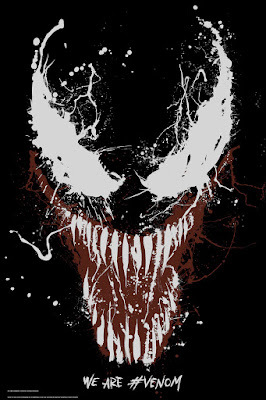 Venom will premiere in theaters this Friday, October 5, 2018.